On the afternoon of 22 April 2015. 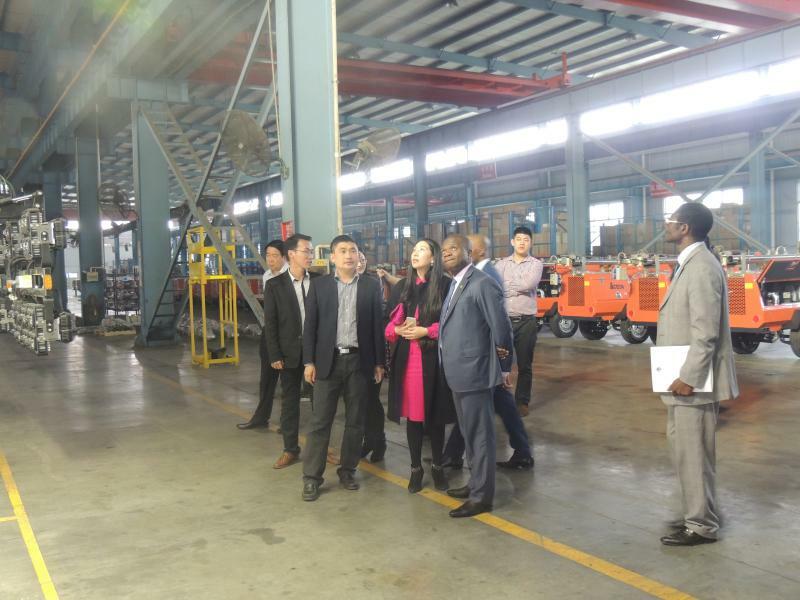 Zimbabwe ambassador Paul Chikawa and Mozambique Ambassador Antonio Inacio visited SWT , vice mayor ,Jining high tech Zone Party committee secretary Baishan, High-tech zone administrative committee economic development bureau chief zhang mo together with the related leadership accompanied by inspection. 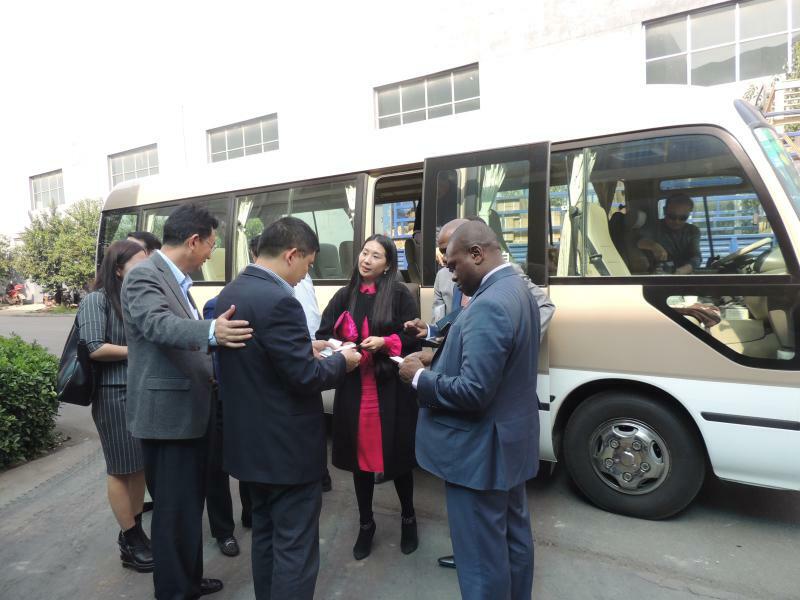 Zimbabwe ambassador Paul Chikawa and mozambique's ambassador Antonio inacio to China.They carefully examined main products the mobile lighting towers and silent gensets. 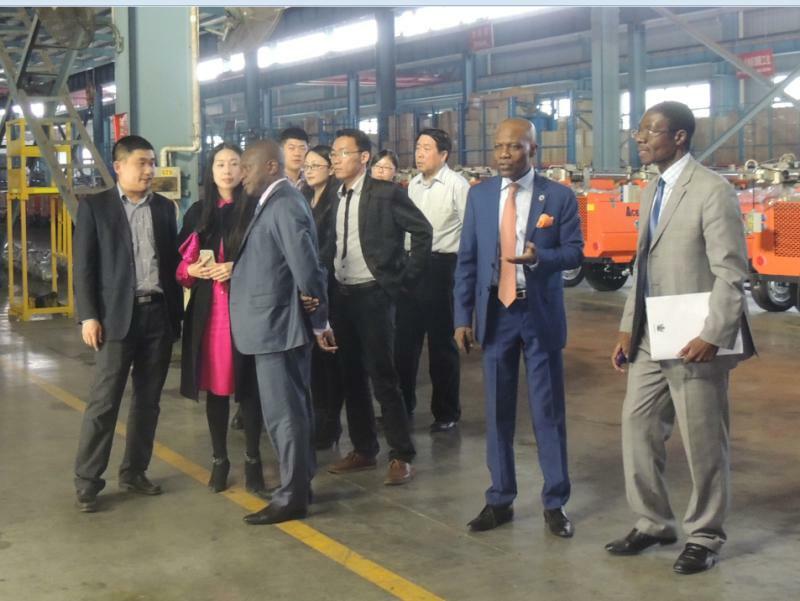 SWT general manager Mr Chi and technical director Mr Zhong accompanyed with two ambassadors for visiting. And in the process of two ambassadors during visiting, To the related questions has been carried out the detailed answers.After visiting two ambassadors for the company products showed a keen interest. Both parties appointed to talk about purchasing items on April 23, in the high-tech zone administrative committee . 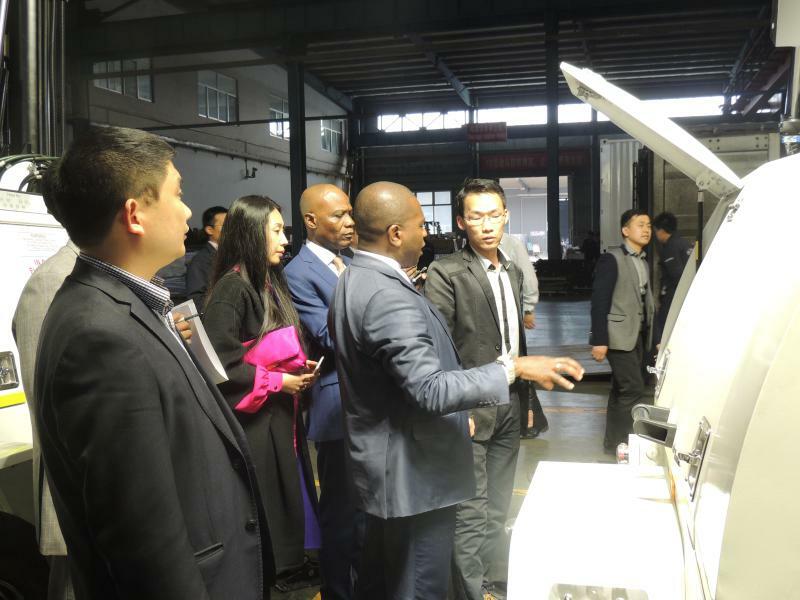 Two ambassadors Paul Chikawa and Antonio Inacio also made a high evaluation in the development environment of Jining City and Jining’s high-tech zone. They highly expressed their good will to strengthen cooperation in energy, infrastructure construction , agriculture and so on.